It used to be clear what a facelift was: a surgical operation under anaesthesia that made incisions near the hairline, then pulled back and excised loose skin to take ten years off your face. Then came the revolutionary promise of upliftment through minimally or non-invasive modalities – Botox, laser, radiofrequency (RF), ultrasound and more. And now, to confuse us still further, many cosmetic brands have topical lotions and potions that purport to lift your skin – even old Nivea is on the bandwagon. We speak to top aesthetic doctors in the field to find out more. Downtime: Minimal. Your skin may appear slightly pinkish but this will subside within a few hours. Besides being trained in Seoul, Dr Justin Boey was also trained in London and Boston for non-surgical facelifts and hair restoration. Dr Boey has personally performed over 1000 full faced HIFU treatments! How does this non-invasive facelift work? A popular treatment in Korea, the Ultraformer 3 uses medical-grade high intensity focused ultrasound (HIFU). In just one session, it tightens old collagen and stimulates new collagen production at three key layers of the skin: superficial musculoaponeurotic system (SMAS), deep dermis and superficial dermis. The SMAS layer is the foundation skin layer commonly tightened in cosmetic facelift surgeries. How does the Ultraformer 3 HIFU compare to other ultrasound treatments? This third-generation HIFU system uses stronger ultrasound energy for more effective results. Developed in Korea, the Ultraformer 3 has the slimmest 2.0mm transducer, which precisely fits smaller areas such as the under-eye and nasolabial fold. Lastly, as compared to first-generation HIFU devices like Ulthera, the Ultraformer 3’s patented technology ensures less discomfort. Thus, I’m able to use high energy levels with more ‘shot counts’ to deliver better results. Who is a good candidate for the Ultraformer 3 HIFU? This treatment is suitable for those with mild to moderate loose, sagging, wrinkled or uneven skin. Small areas of the face can be treated, including around your eyes, lids, mouth, and nasolabial folds (the area between your nose and mouth). The Ultraformer 3 can also be used for sagging skin on the jawline, neck, and other areas of the body with skin laxity. 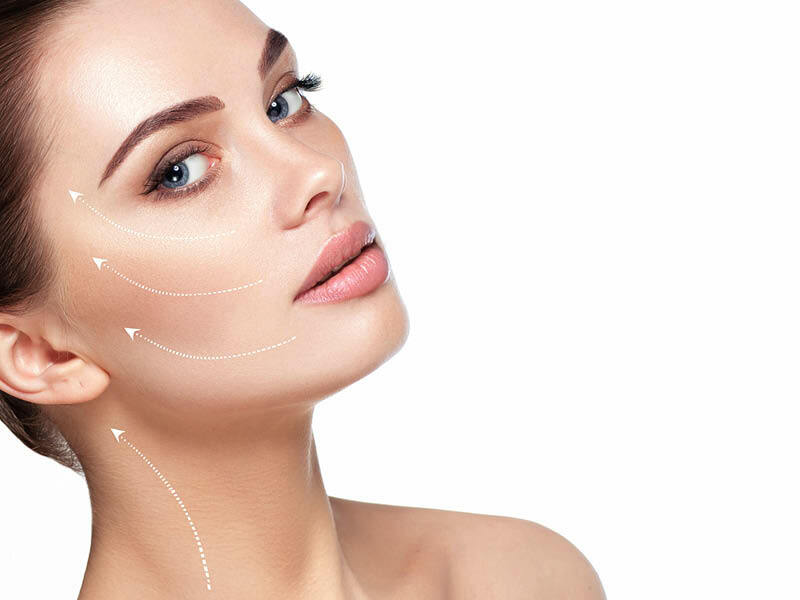 If you prefer a non-surgical approach to skin ageing, this fuss-free facelift, which takes up to an hour, is one of the best skin tightening and face firming treatments out there. The Ultraformer 3 can also be combined for with Botox and fillers for synergistic effects and better anti-ageing results. Plastic surgeon Dr Wong Chin Ho did his fellowship in facelifting, and lifts a lot of faces. As it happens, he’s just done a great job of removing three small growths from Executive Editor Verne’s face (the legacy of sun damage in her foolish youth), so she’s had personal experience of his incredibly fine stitching technique. The decision to have a facelift might be one of the most significant decisions that you will make, and many patients instinctively know when the time has come for them. I like to put things into perspective and to be clear about what is possible in terms of the degree of improvement that can be achieved, given his or her individual skin quality, skeletal structure and the severity of ageing-related changes. Very good results can be achieved for Caucasian skin: it’s lighter, thinner and more delicate than Asian skin, so we can drape it more effectively. And when the correct technique is applied, facelifts can also be profoundly beneficial for Asians. Someone who is looking for a profound rejuvenation. But if you’re not keen on surgery and will be satisfied with a very subtle result, non-invasive techniques like Thermage and Ulthera can tighten and rejuvenate the skin to some extent. Non-invasive methods don’t work for the jowls, as you can see by manually lifting your own cheeks: there’s excess skin above it, and that needs to be removed. To remove sagging jowls and really get a fresh appearance, however, takes a surgical facelift. Ageing is not just a question of sagging, either; there’s also an issue of facial shape. The youthful shape is triangular or heart-shaped; now, with jowls appearing, it becomes square-ish. What sort of facelift do you perform? I do what is called a deep-plane or composite facelift, which addresses both the skin layer and the layer below it. From my pictures, you can see that it gives a completely natural result – these women simply look like their younger selves. Because the tightening is done in the support layer of the skin, rather than in the skin itself, we avoid the stigmata of a traditional facelift – that wind-tunnel look. Now, with our better understanding of the anatomy of the face, we are able to achieve much better results. Call it vanity, but it can be heartbreaking to see a permanently tired-looking, lined face that does not reflect who you are or how you feel. Dr Donald Ng concentrates on non-surgical or minimally invasive face-lifts – for those who prefer not to go under the knife. Apart from a surgical facelift, what’s the next most effective lifting procedure? Fortunately, there’s a whole range of possible options for lifting and tightening. Many patients are OK with injections or even small incisions, as long as they will not be visible afterwards. For them, there has to be almost no risk of scarring; this is especially true for Asians, as our skin is much more prone to visible scarring than a Caucasian’s. I’ve been doing thread-lifts with good success for the past eight years. The analogy I use is that of a building with concrete walls. Like concrete is reinforced with a network of steel mesh and bars, so the skin is supported with threads that the surgeon introduces into the subcutaneous level, just above the SMAS (or superficial muscular aponeurotic system). No cutting is involved: we use a long needle to feed the threads through. By using a combination of the several types of threads that are now available, we can achieve dramatic results, especially when we do this in conjunction with fillers. What do threads look like and how do they work? There are two basic types. Firstly, anchoring threads that secure the tissues with either barbs, cones or knots. Anchoring threads can be either free-lying, or they can be attached to an area above the ear or temple, from where the lifted tissues are suspended. Secondly, smooth embedding threads don’t anchor the tissue, but work to stimulate the production of collagen around them. Very popular, they’re known as PDO threads and come from Korea. A thread-lift is generally very simple to perform and complications are rare. Results are immediate and can be rather dramatic, though the effect is natural. The key thing is to choose a doctor who is familiar with the different types of threads and the various brands – and one who has a lot of experience in this particular procedure. Though it’s fairly simple, an experienced doctor will have the detailed knowledge to ensure a good result. Can fillers help to lift the face? They don’t actually lift; the effect is more that of filling an empty balloon. We use them on areas of the face that have lost volume, especially around the eyes and upper cheeks. This happens more to Caucasians, who have thinner skins and can become quite skeletonised around the eyes. There’s a range of materials that can be used, including fat grafted from the patient’s own body. Fat is very soft, so injected correctly and in the right amounts – tiny little rice grains – it works well and looks natural. You may lose 30 to 40 percent of the fat filler over time, but most of what is injected will be retained; and as the fat has its own stem cells, it improves the quality of the skin in the area that is treated. Cosmetic fillers such as Juvederm and Restylane can be either temporary or permanent. Temporary ones are usually used for the cheeks, temples or forehead; for around the eyes and in the tear troughs where the skin is very thin, we use the softest possible AHA (alpha hydroxy acid) type. Permanent types are thicker and are reserved for the nose and chin. Sculptra is something different again. Instead of providing direct volume, it delivers a chemical into the skin to stimulate collagen production, plumping the skin over time and causing a subtle lifting effect. It’s not easy to understand how partially paralysing facial muscles can achieve a tightening effect: you’d think that it would have the opposite effect, wouldn’t you? Administered by injection, our best friend, Botox, falls squarely into the minimally invasive category. It’s not a permanent fix, but that’s an advantage in a way: if you don’t like its brow- and eye-lifting effect, you don’t have to live with it for too long. Be warned that each doctor has his or her own style and technique. We speak to the gentle, excellent and thorough Dr Anita Soosay. Your face has some muscles that pull upwards and others that pull downwards. Botox contains a neurotoxin called botulinum. By injecting small amounts of it into the downward-pulling muscles, we prevent them from working so well, thus allowing the upward-pulling muscles to do their job far better. On the forehead, the down muscles are located in an inverted pyramid from the hairline of the brow. That enables the upward-pulling muscles above each eyebrow to work more effectively, opening the eye-space beautifully. It’s the same principle: we can relax the muscles associated with the lines radiating from the outer corners, or crow’s feet, which achieves a lifting effect. I also inject from the edge of the eyebrow all around the eye. For eyelids that are no longer as firm as they used to be, I inject into the muscles directly under the eyebrows that drag the eyelids down; this slightly lifts the lids, opening up the eye area and allowing you to apply your eye shadow properly again. And a tiny injection under each eye helps to obviate any under-eye creases that may be caused by smoothing out your crow’s feet. What about the lower face? I don’t perform Botox on the lower face, because that would affect your smile. If you can’t smile fully and widely, you will feel weird and you won’t look like yourself. Fillers are good for any deep lines around the mouth and the naso-labial lines. Dresses that will keep you cool!